When OkCupid asked Colossal to paint their bright and ballsy photographs, we were DTF – down to fasten our harnesses and get to painting. 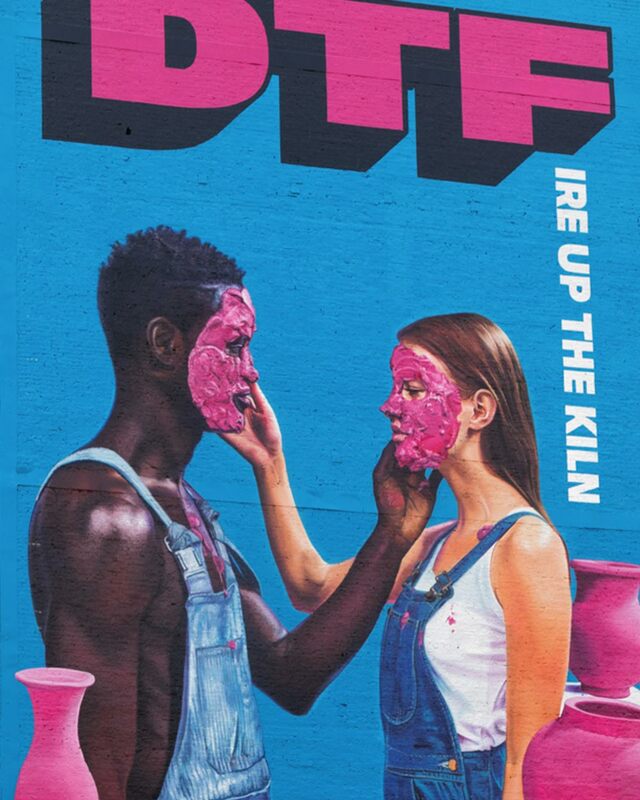 Their messaging, which flipped negative connotations around modern dating and the term “DTF”, rolled out in the form of charmingly relatable and inclusive copy and imagery. We put them up in neighborhoods that were a perfect match for the campaign’s arms-wide-open perspective on love. Justin, one of our painters, met his wife, Tonya, on OkCupid. Both worked long hours and didn’t have time to meet people otherwise. After a week of messaging, they went on their first date. Justin took Tonya to the Charleston on Bedford and North 7th in Williamsburg. After a few drinks, he brought her to the Colossal shop to show her what he did. Little did he know, he’d later paint a mural for OkCupid with Colossal. This was the couple’s first and last time using a dating app. They got married in Portugal in May 2018.